Former Australian cricket sensation Brett Lee on Wednesday said hearing loss is treatable and early screening and intervention can ensure a normal life for children with profound hearing loss. Creating awareness about Universal Newborn Hearing Screening (UNHS), former Australian cricket sensation Brett Lee on Wednesday said hearing loss is treatable and early screening and intervention can ensure a normal life for children with profound hearing loss. "No one in this world deserves to live in silence. People should know that hearing loss is treatable and that it should not prevent a person from leading an active, full life. Universal Newborn Hearing Screening (UNHS) can help address these issues early in life," Lee told reporters here. The former pacer is also the Global Hearing Ambassador with global implantable hearing aid firm Cochlear. 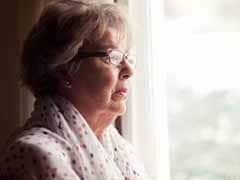 Hearing loss affects nearly a third of adults between 65 and 74 and half of those 75 and older, according to the National Institutes of Health. But only about 20 percent of those who could benefit from hearing aids have used them. Findings of the study suggest that greater the hearing loss in elderly individuals, the greater the risk of having depressive symptoms. "There is an urgent need of making the 'new-born screen test' for hearing mandatory as well as for educating parents of children with hearing loss so that they make the best intervention at the earliest," said Lee, who began spearheading the cause of hearing loss three years ago, in the wake of an accident that temporarily impaired his son's hearing. Deafness, according to the World Health Organisation (WHO), refers to the complete loss of hearing ability in one or both ears, while "hearing impairment" refers to both complete and partial loss of hearing ability. 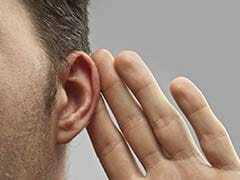 Nearly 360 million people, nearly one-tenth of them children, suffer from hearing loss worldwide. "About one lakh children born in India every year suffer from severe to profound hearing loss. Overall the figure may be 10 lakhs," Shalabh Sharma, ENT surgeon at Sir Ganga Ram Hospital, New Delhi, told IANS. 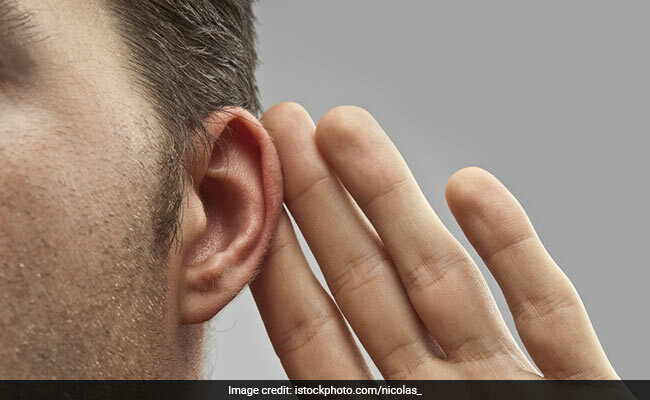 Identifying children with hearing loss at birth can ensure treatment and save them from further deterioration such as deficit in hearing, understanding speech, speaking and language deficits, Sharma said. "If children are tested as soon as they are born and get diagnosed with mild to moderate loss, then within a few months (0-6 months) they can be fitted with hearing aids and the children can live normal life like their peers," he noted. Besides, screening of the newborns, parents need to intervene at the slightest suspicion about their child's ability to hear. A hearing test is cheap and readily available at various audiology and hearing test clinics. Hearing loss occurs due to a number of reasons such as genetic; infections such as measles, mumps, rubella and meningitis; complications at birth, including prematurity, low birth weight and neonatal jaundice; and because of in-vitro exposure to some harmful medicines that expectant mothers use. While UNHS has been made mandatory in developed countries such as the US, Europe and Australia, India has still not included it in the list of health screening procedures for the newborns, Sharma said. Unlike hearing aids, which make sounds louder, cochlear implants bypass the damaged hair cells of the inner ear (cochlea) to provide sound signals to the brain. The implant electrodes stimulate the cochlea's hearing nerve, which then sends the impulses to the brain where they are interpreted as sound.